I'm stuck doing the late shift today and tomorrow. Booooo. But I do get to sleep in in the morning, which is nice, especially since I was up all last night watching Scandal. GUYS. SCANDAL. HOLY CRAP. 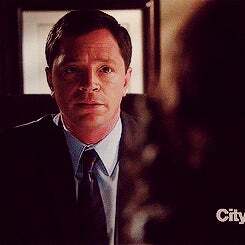 It's normal to develop a crush on Joshua Malina, right? He's so adorable and smart. He's always been kinda cute, but DAY-UM! He&apos;s always been kinda cute, but DAY-UM! I bet NASA wants that penny back now.